In a bid to get around terrestrial height restrictions, Clouds Architecture Office has proposed suspending the world’s tallest skyscraper from an asteroid, leaving residents to parachute to earth. 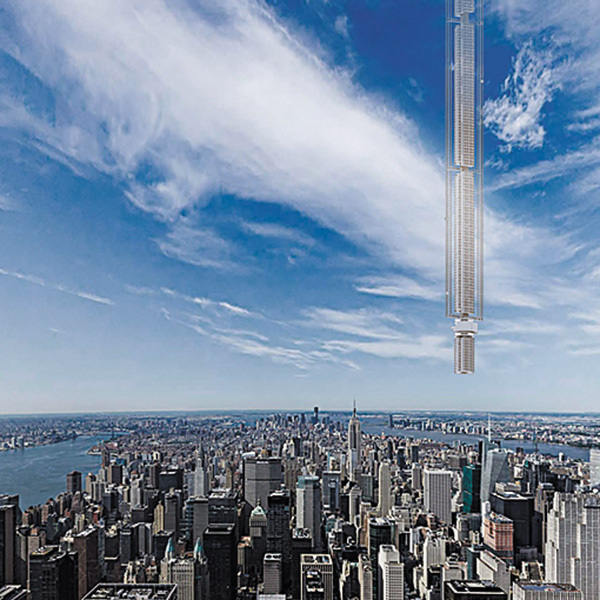 New York-based Clouds Architecture Office drew up plans for Analemma Tower to “overturn the established skyscraper typology” by building not up from the ground but down from the sky by affixing the foundations to an orbiting asteroid. This system is referred to as the Universal Orbital Support System (UOSS). By placing a large asteroid into orbit over earth, a high strength cable can be lowered towards the surface of earth from which a super tall tower can be suspended. Since this new tower typology is suspended in the air, it can be constructed anywhere in the world and transported to its final location. Analemma can be placed in an eccentric geosynchronous orbit which would allow it to travel between the northern and southern hemispheres on a daily loop. The architects propose building the tower over Dubai, a city at the forefront of supertall construction, and where property is almost 15 times cheaper per square foot than New York, according to their workings out. 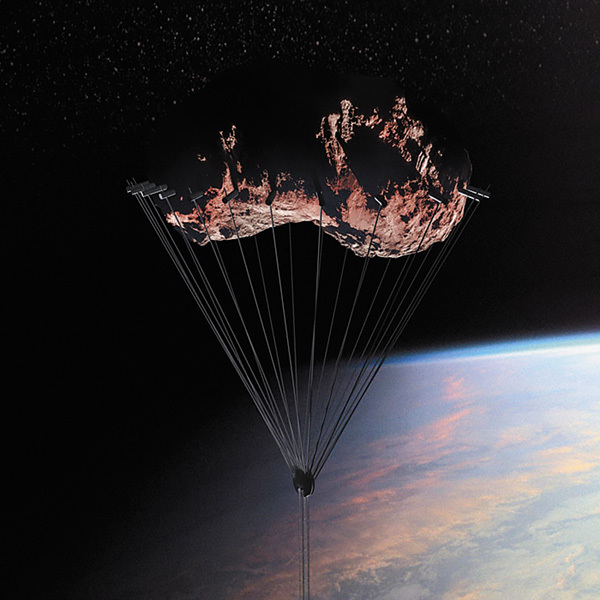 Prefabricated modules would be hoisted up from earth and plugged into the building’s extendable core, which would be tethered by cables to the asteroid. “Since this new tower typology is suspended in the air, it can be constructed anywhere in the world and transported to its final location,” said the architects. The size and shape of windows changes along the length of the tower, adapting to the different exertions of the atmosphere as well as temperature. Windows towards the top of the tower, where it extends beyond the troposphere to give residents an extra 40 minutes of sunlight each day, would have rounded elevations to cope with the increased pressure. The tower would be powered by solar panels mounted on the uppermost levels, where, located above the atmosphere, they would have constant exposure to sunlight. Water would be collected from the condensation of clouds and from rainwater. The tower is split into sections, with each dedicated to different activities. Business takes place across the lowest hanging floors of the block, while residences are located two-thirds of the way up, with worship and funerary activities taking place in the uppermost section. Manipulating asteroids is no longer relegated to science fiction. In 2015 the European Space Agency sparked a new round of investment in asteroid mining concerns by proving with its Rosetta mission that it’s possible to rendezvous and land on a spinning comet. NASA has scheduled an asteroid retrieval mission for 2021 which aims to prove the feasibility of capturing and relocating an asteroid.